A total of 15,224 new vehicles were sold in Bulgaria in the first quarter of 2008, up by 29.5% compared to the corresponding period of 2007, when 11,756 units were sold. 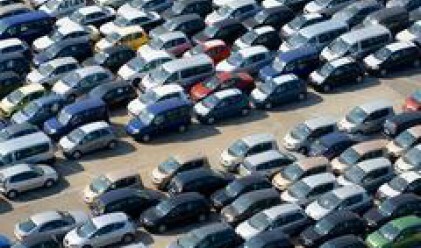 The number of cars sold in the first three months of 2008 amounted to 14,157, up by 26.5% year on year, data of Union of the Importers of Automobiles in Bulgaria (UIAB) show. Opel and Toyota topped the ranking in the first quarter of the year with 1,843 and 1,537 cars sold, respectively. Opel occupied a 13.02-percent share of the market, while Toyota's share stood at 10.86%. Ford ranked third with 9.32% market share overtaking Volkswagen and Peugeot, which held 8.06 and 7.35% share of the market, respectively. Dacia sold a total of 862 cars in the past three months and held 6.09% of the market during the period. Chevrolet and Citroen occupied 5.16 and 5.14% of the market, respectively. Skoda and Renault also made it into the top ten in terms of sales with 690 and 587 units sold, respectively. Skoda held 4.87% of the market, while Renault's share amounted to 4.16%. A total of 1,067 buses and trucks were sold in the country in the first quarter of 2008, compared to 570 for the year-ago period. Iveco was the market leader in the period with a 40.77% share, followed by Mercedes and Volvo with 27.74 and 19.12% market share, respectively. Motorcycle sales rose by 31% to 78. Yamaha sold a total of 23 units and occupied over 29.49% of the market, followed by Peugeot (22 units and 28.21% market share) and Piaggio (19 units and 24.36% market share).